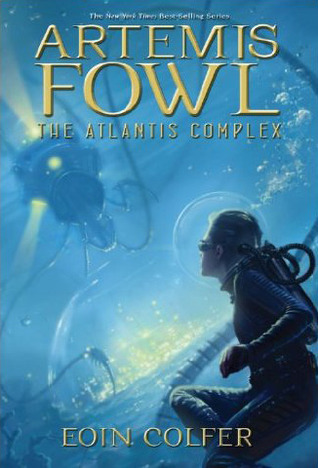 You can read my reviews of The Last Guardian (Artemis Fowl #8) and The Artemis Fowl Files here. So in this installment, Artemis has a crazy disorder causing him to be.... well, crazy. At first I thought this would ruin the book for me, because Artemis being Artemis is what makes this series, you know? In the beginning, it was like that a bit. But as the story and Artemis's condition progresses, we get Orion, Artemis's alter ego. Need I say hilarious? All the things Artemis supresses in himself come out into full play, including his affections for Holly. As a huge Holly+Artemis shipper, you can bet I was WOOT WOOT-ing the whole time. Mulch was absolutely wonderful. I was giggling like a 5 year old being tickled after his every line. And it was nice to have Foaly on the field for a change. What are you reading this week! I would love for you to let me know in the comments!